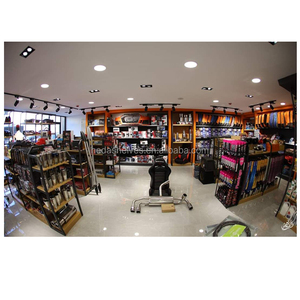 1 YRS Foshan Shunyuhe Display Product Co., Ltd.
2 YRS Guangzhou Heda Shelves Co., Ltd.
4 YRS Xiamen Angxing Industry & Trade Co., Ltd.
6 YRS Guangzhou Ouyee Display Co., Ltd.
7 YRS Shenzhen Bon Voyage Display Products Co., Ltd.
6 YRS Shenzhen Ouning Acrylic Display Co., Ltd.
15 YRS Shenzhen Mydarb Industrial Co., Ltd.
1 YRS Dongguan Youlian Display Technology Co., Ltd.
8 YRS Zhongshan Ten Square Display Co., Ltd.
6 YRS Cao County Searun Wooden Crafts Co., Ltd.
2 YRS Xiamen Bo Ya Industry Trade Co., Ltd.
2 YRS Guangzhou Ouyee Display Co., Ltd.
1 YRS Zhongshan Temujin Display Products Co., Ltd.
3 YRS Zhongshan Niten Display Products Co., Ltd.
1 YRS Suzhou Langlin Hardware Co., Ltd.
1 YRS Dongguan Kiseng Commerce Co., Ltd.
12 YRS Allpower Display Co., Ltd.
4 YRS Guangzhou Roden Display Manufacture Co., Ltd.
1 YRS Guangzhou Bull Leader Shelves Co., Ltd.
13 YRS Shenzhen Hoteam Art & Crafts Co., Ltd.
11 YRS Zhangjiagang Yun Long Display Co., Ltd.
6 YRS Tongxiang Imei Import & Export Co., Ltd.
4 YRS Master Display Products (Zhongshan) Co., Ltd.
Can you design for me 9 Answer: Ye s , you find right one, design service is provided with professional team. Answer: For choosing supplier,it will be better if you consider below several points for saving your cost and time. Can you do that9 Answer: Short delivery time with ensured quality is our key to development successful,we will make a timetable based on your schedule. 4 YRS Shanghai Quickshow Exhibition & Display Co., Ltd.
Q3: Do you accept sample order or small order9 Yes, we supply sample order for customers. And min order (less than container loading) can be arranged. Q5: Do you have inspection procedures for products9 A: 100% self-inspection before packing. 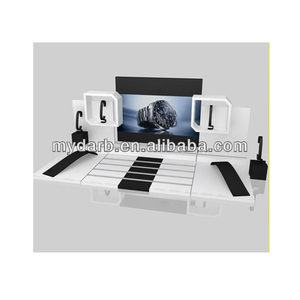 1 YRS Zhejiang Mingqi Display Technology Co., Ltd.
8 YRS Seac-Acrylic Industrial Co., Ltd.
5 YRS Wenzhou Ruichen Exhibition Co., Ltd.
Alibaba.com offers 21,167 wood shelf stand products. About 35% of these are display racks, 17% are supermarket shelves, and 1% are other hotel & restaurant supplies. 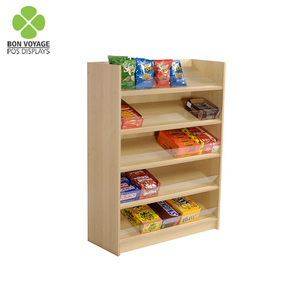 A wide variety of wood shelf stand options are available to you, such as metal, acrylic, and wood. 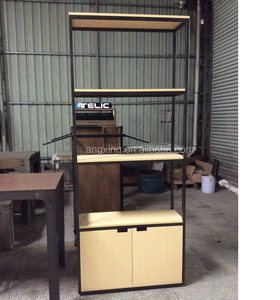 You can also choose from supermarket rack, display stand, and pallet rack. As well as from single-sided, double-sided, and corrosion protection. 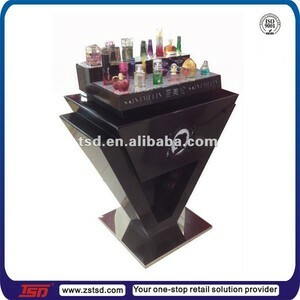 And whether wood shelf stand is light duty, or heavy duty. 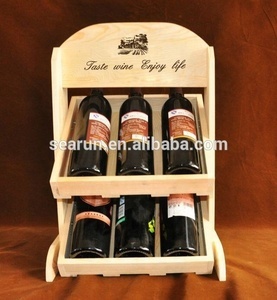 There are 21,167 wood shelf stand suppliers, mainly located in Asia. 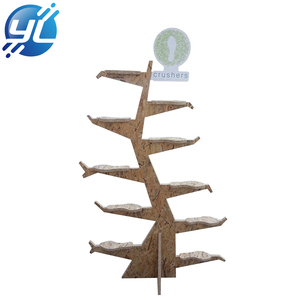 The top supplying country is China (Mainland), which supply 100% of wood shelf stand respectively. 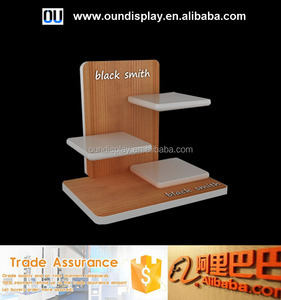 Wood shelf stand products are most popular in North America, Domestic Market, and Western Europe. You can ensure product safety by selecting from certified suppliers, including 3,511 with ISO9001, 1,697 with Other, and 750 with FSC certification.